I think that the car will go fast. First I made my hypothesis. 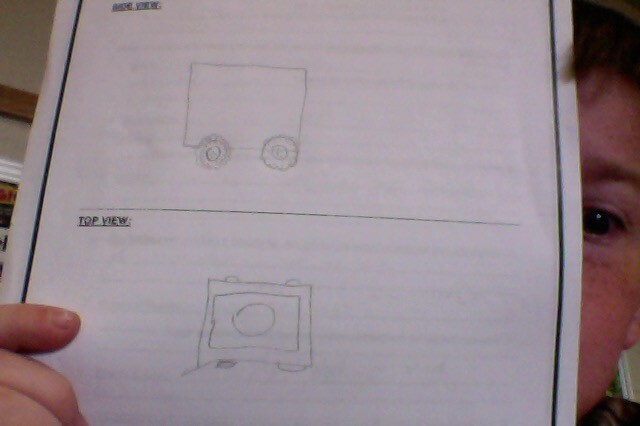 Then I made the car. I started with finding some supplies. After that I made a seat and frame of the car. I made sure it was big enough to fit an egg. Then I put some spray paint on it. I was finished. I crashed my car 2 times and it flew out every time. In speed my car went pretty slow. 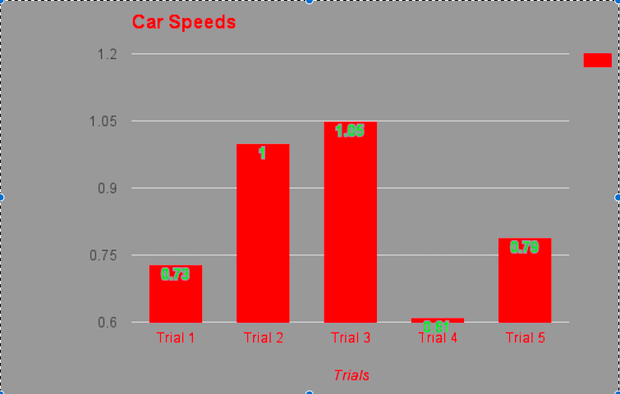 The car went pretty slow my conclusion was half right though one time it went 1 meter.